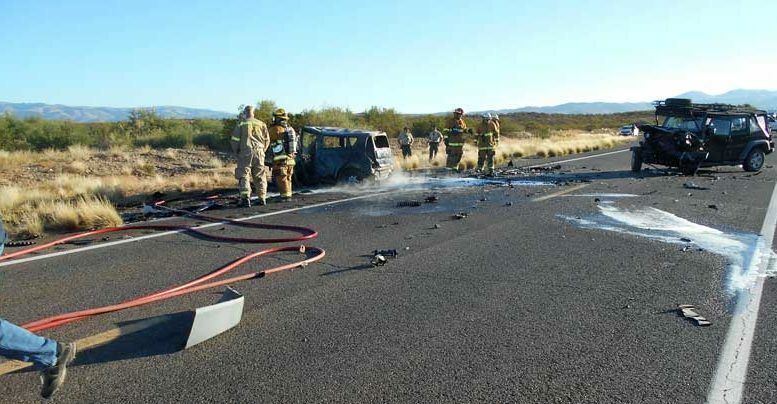 Contributed Photo/Courtesy DPS: Safford Fire puts out a burned Kia Soul early Sunday morning after a head-on collision on "The Stretch" on N. U.S. Highway 191. The driver, Angelica Aranda, 21, of Safford, was deceased at the scene. GRAHAM COUNTY – Angelica Monique Aranda, 21, of Safford, was killed early Sunday morning in a head-on collision on N. U.S. 191 at about milepost 133. The area is roughly three miles north of the intersection with U.S. Highway 70 and is known as “The Stretch” for its long straightaway. Aranda was reportedly headed back home after getting off work from the Morenci mine. Contributed Photo/Courtesy DPS: The driver of the Jeep, Ruben Sexton, 61, of Safford, was flown to UMC in Tucson for treatment of his multiple injuries. According to Arizona Department of Public Safety Sgt. Stewart Shupe, Aranda was southbound in a grey, 2017 Kia Soul when she drifted into the northbound lane at about 6:45 a.m. and struck a northbound green, 2012 Jeep Wrangler driven by Ruben Dean Sexton, 61, of Safford. Aranda, who reportedly was five months pregnant, was killed by injuries sustained in the collision, which then caused her vehicle to catch fire and burn to the ground. 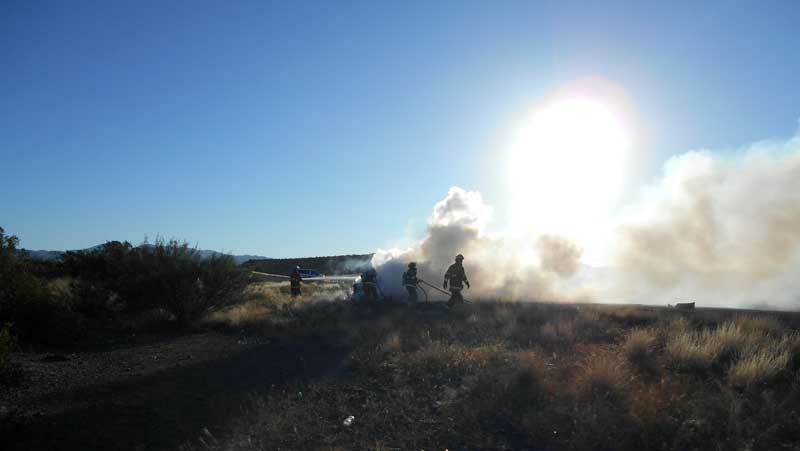 Safford Fire was dispatched to the scene along with Lifeline Ambulance. Sexton was initially driven by ground ambulance to Mt. Graham Regional Medical Center and was then flown to Banner-University Medical Center Tucson for treatment of his injuries. Sexton reportedly suffered multiple fractures to his back and sternum, lacerations to his spleen and kidney, and contusions and abrasions to his arms and legs. Gila Valley Central received a report Monday morning from a family member who stated Mr. Sexton was on the mend. Contributed Photo/Courtesy DPS: The cause of why Aranda drifted over into the oncoming lane is unknown. DPS is still investigating the scene and the cause of why Aranda drifted into the oncoming lane is unknown, although it might have been due to exhaustion. The vehicles were removed from the scene and one lane was opened at 7:41 a.m., with both lanes fully reopened by 8:30 a.m.
A GoFundMe account has been created for Aranda’s family and can be accessed by clicking here.